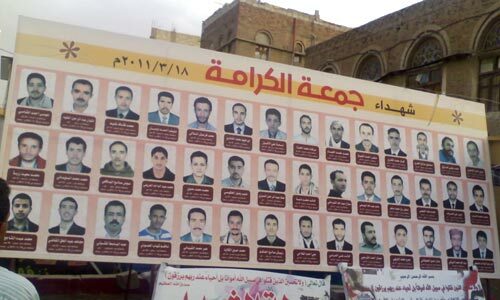 Martyrs of Friday of Dignity - 18, March 2011. 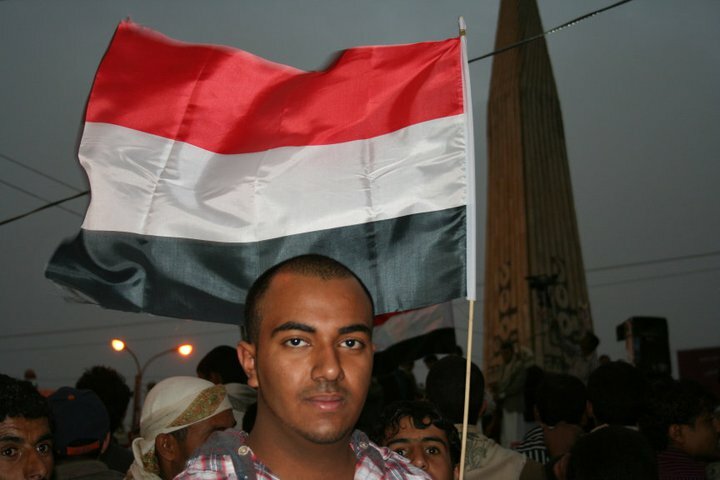 Today marks a turning-point day in the course of Yemen's 2011 uprising. 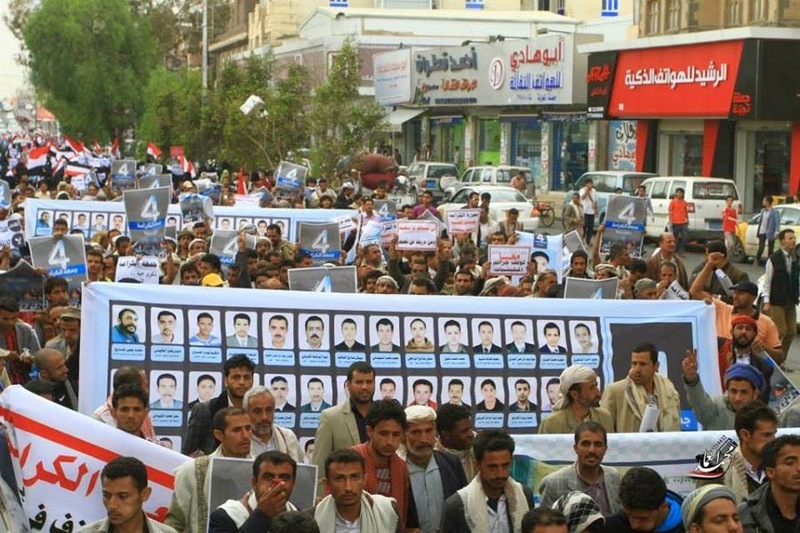 'The Friday of Dignity' was a day when peaceful protesters endured one of the first violent crackdowns, while marching after praying the Friday prayers in Sana'a. At least 45 protesters were killed—most of them university students and three of them children— and 200 protesters were wounded. I used to live one block away from what became to be known as Change Square in Sana'a and I've covered and written about the attack during the attack on my twitter and I followed the anniversaries of the day over the ensuing years. Midst the ravaging war in Yemen, no protest to commemorate the day was reported today. Nonetheless, I list below posts I wrote back to highlight the day's importance and to commemorate the martyrs. What happened exactly at the massacre on last Friday, March 18th? Why? Why the 18th of March was the date for the National Dialogue conference to commence? 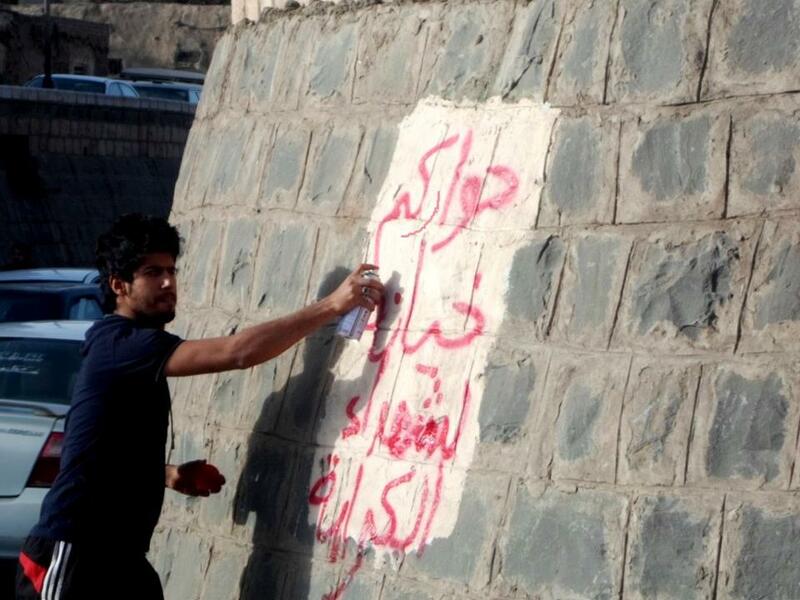 "Your dialogue is a betrayal to the dignity martyrs," sprays political activist, Rathwan al-Haimi in one of Sana'a's streets' wall - March 18, 2013. 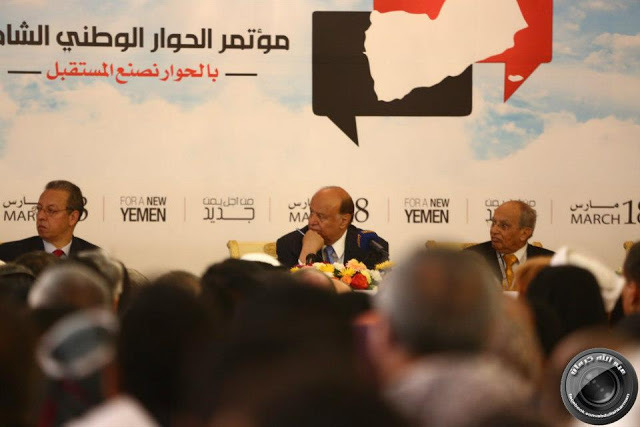 On Friday of Dignity anniversary, Yemen's National Dialogue Conference Kicks Off.